To contact Jen (interview requests, questions, comments, or just to say "hi!") 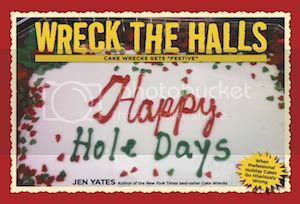 please use this address: Comments (at) Cake Wrecks (dot) com. If you're a member of the press and you would like to request a review copy of the book, then please contact Kathy Hilliard at Andrews McMeel. Her address is khilliard(at) amuniversal (dot) com.